A young boy holds a toy wooden sword and charges forward to have an imaginary battle. 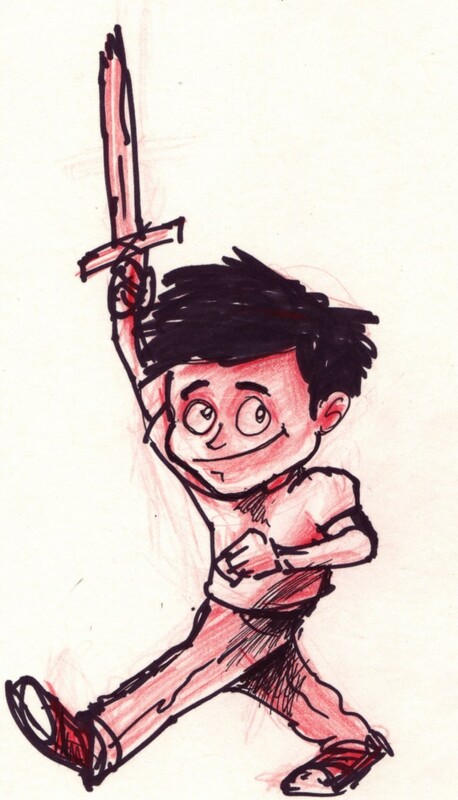 He is smiling and holding the sword high above his head. Process: Quickly sketched in red pencil and outlined with ink.